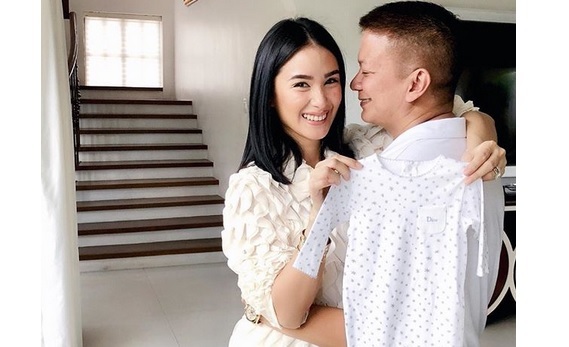 Heart Evangelista happily announced on instagram that she's expecting her first child with Senator Chiz Escudero. On Saturday, May 12, the actress shared a photo of herself holding a baby onesei with so much joy while being wrapped in her husband's arms. Heart captioned it: "The greatest of blessings all in God’s perfect timing! Our beautiful family just got a little bigger. We can’t wait to meet you little one." The two got married back in February 2015.